If you or someone you know loves Jurassic Park, you've probably seen the new Jurassic World: Fallen Kingdom movie at least once already. Now what? We can help! Dinosaur Ridgeopens a new window is a natural national landmark just outside Denver and one of the world's most famous dinosaur fossil localities. Dinosaurs found here include Stegosaurus, Apatosaurus, Diplodocus and Allosaurus. They have a hiking trail called Triceratops Trail that has viewable dinosaur tracks, and the fossils are dated to the end of the Age of Dinosaurs, 68 million years ago. Down the road from Dinosaur Ridge is Morrison Natural History Museumopens a new window, which houses exhibits devoted to local paleantology and Jurassic fossils. Notable displays include skulls of Tyrannosaurus, Triceratops and Tylosaurus, remains of skeletons of Stegosaurus and Pteranodon, and infant dinosaur tracks. Live reptiles and amphibians are also on display. Read more about the museum in Mollie's blog post. The Denver Museum of Nature and Scienceopens a new window has a display called Prehistoric Journey. Here you can see different dinosaur displays, handle some fossils and view real scientists at work in the Earth Sciences Lab. Most of the fossils that have been on display have gone through the lab. The dinosaur recently discovered in Thorntonopens a new window is also on display there. Watch a movie about dinosaurs. 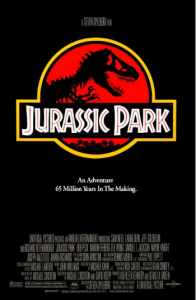 Watch all the Jurassic Park movies: Jurassic Park, The Lost World, Jurassic Park III and Jurassic World. Travel back in time with Walking with Dinosaurs, the series. CGI and animatronics bring these dinos to life and show you what life would really be like for them. Or watch Walking with Dinosaurs The Movie, which was released a few years after the series. 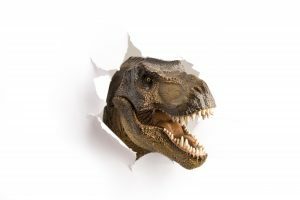 Day the Dinosaurs Died investigates how an asteroid vanquished the dinosaurs 66 million years ago. Jurassic Park was a novel by Michael Crichton before it became a movie. The Rise and Fall of the Dinosaurs: A New History of a Lost World tells the epic story of dinosaurs. Kids will love the book Jurassic World, a junior novelization of the movie. Take this Jurassic Park quiz and see how well you know the movie! Play Jurassic World Alive on your phone. Similar to Pokemon Go, this game allows you to collect dino DNA, create hybrids and battle others in real life.